An explosion at the Seabrook power plant fifty years ago turned half of Seabrook's residents into zombies that eat brains. Segregation via a wall between humans and zombies helped preserve peace. Eventually, the government found the means to take away the brain craving with bracelets that issue an electromagnetic pulse into zombie bodies. Yet, the wall created two very different versions of Seabrook: On one side, Zombietown, zombies live in a run down area where they use non-conformity through art to brighten their lives. On the other side, humans exist in a very different society that focuses on perfection, perky behavior and traditions. 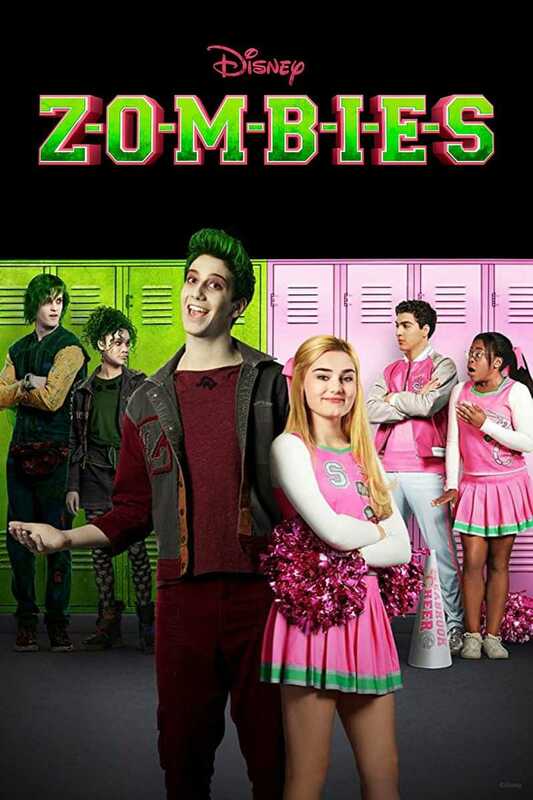 When the government finally gives Zombie children the right to attend Seabrook High School, people from each community find themselves clashing over their differences until a boy meets a girl: A human, Addison, gets stuck inside a zombie shelter at the school with a charming zombie named Zed. When a friendship develops between them, they realize that not everyone is going to be as accepting of the differences between the two races...or their love. DVDs Release Dates is the best source to find out when does Zombies come out on DVD and Blu-ray. Dates do change so check back often as the release approaches.